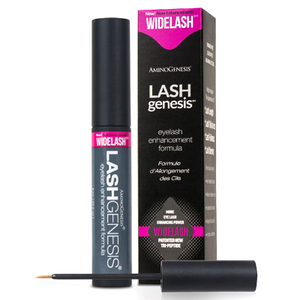 AminoGenesis is a skin care formulation created by a team of advanced medical and scientific researchers. It is based on the powers of amino acids which are the essential components of all living things. When applied topically, amino acids can dramatically improve the appearance of aging skin, helping to smooth visible lines and stimulate collagen and elastin synthesis. Individuals have even reported that topical usage has helped with skin conditions such as dermatitis, rosacea, acne and eczema. Amino acids create the core of two of the most advanced AminoGenesis products available: Tripeptinon and Photolagen-AGF. This full-strength serum goes right to the heart of aging skin by focusing on the skin's support system, the connective tissues. When these tissues break down, the skin begins to sag and lose elasticity. This serum will help to strengthen and lift the connective tissues, leaving the skin firmer and plumper. This serum works in a unique way. After penetrating the uppermost layers of the skin, Tripeptinon undergoes hydrolysis, separating the fatty acids so they can be used to strengthen the skin's support structures. Next, Tripeptinon organizes itself into bi-layers to contain moisture within the skin. Finally, amino acids bind with water to maximize the skin's hydration levels. Customer satisfaction across the web is high. Users state that their skin is much softer, the texture improved quickly and that one ampoule has a generous amount of product for full coverage of the face, neck, décolleté and back of hands. Most agree that it must be used first on clean dry skin so the serum penetrates efficiently. Photolagen-AGF combines 17 proprietary amino acids with reparative peptides to repair photo-damaged skin, and can dramatically improve the look of sun spots, deep wrinkles and discoloration. The pentapeptide contained in this Photolagen AGF serum, called Matryxl, generates a powerful repair response in the skin. Clinical trials have shown this ingredient to be superior to retinoids, glycolic acid and alpha hydroxy acids, without the negative side effects. It also provides the skin with hydrating humectants and beneficial nutrients chosen for their healing benefits. 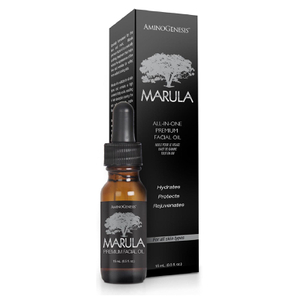 Individuals of all skin types can use this serum to smooth wrinkles, reduce discoloration, improve hydration levels and achieve an overall improvement in the skin's tone and texture. There is a general consensus among users that Photolagen-AGF has effectively improved their skin with "no break-outs" and has a nice fluidity which enhances application, coverage and feels silky soft. Amino acids are powerful nutrients for your skin, which is why AminoGenesis Products rely on amino acids to create healthy, youthful, well-nourished skin. Amino acids turn back the hands of time, leaving your skin looking younger and fresher, thanks to the production of collagen and elastin. Your skin is moisturized, smooth, and healthy with regular use of AminoGenesis Products. You can create a thorough and effective skin care routine with AminoGenesis Products. Start your daily skin-care routine with an effective cleanser, and then tackle signs of aging with unique and powerful formulas. That sagging, discolored skin will transform into a firm, evenly toned complexion. It will stay hydrated thanks to the nourishing effects of amino acids. Finally, your skin will be stronger, which gives it an instantly younger appearance. AminoGenesis Products are an essential part of a well-rounded beauty routine. 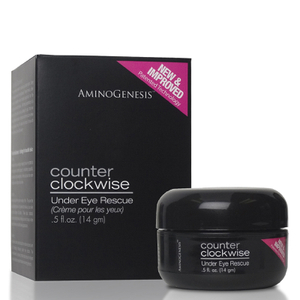 Turn to AminoGenesis Products to reverse signs of aging and create your healthiest skin yet. Natural ingredients are often the most effective when it comes to creating glowing, younger-looking skin. That's why AminoGenesis Products use amino acids as their main ingredient to clean, hydrate, and treat your skin. These highly effective products even help treat skin conditions such as dermatitis, rosacea, and acne. No matter your skin type, AminoGenesis Products can help improve your skin's tone, texture, and appearance. Enjoy the benefits of three effective technologies in one serum with Photolagen AGF by AminoGenesis. The delivery system penetrates and moisturizes your skin with amino acids, humectants, and nutrients. The powerful amino acids decrease wrinkles, encourage collagen and elastin production, reduce skin discoloration, and improve skin texture. Finally, the Pal-KTTS Peptide reduces signs of aging by increasing wrinkle-fighting and firming collagen in the skin. 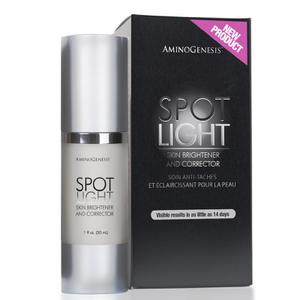 Photolagen AGF by AminoGenesis is suitable for all skin types and gentle enough to use twice daily. AminoGenesis Tripeptinon features pharmaceutical-grade ingredients without a prescription to create younger-looking skin. Tripeptinon lifts, firms, and strengthens the skin's connective tissue, which when left untreated, can cause sagging. 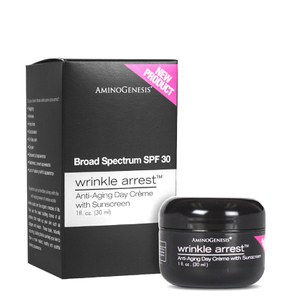 AminoGenesis Tripeptinon creates well-moisturized skin that remains firm, giving it an instantly younger appearance. AminoGenesis Tripeptinon comes in capsule form, with 40 capsules in the package. One capsule provides full coverage. Nourish and clean your skin with AminoGenesis Really Really Clean Facial Cleanser. Eliminate dirt, oil, makeup, and other buildup with this gentle cleanser. The cleanser's 17 amino acids give your skin important nutrients, leaving it soft and smooth. Use AminoGenesis Really Really Clean Facial Cleanser every day for maximum results.